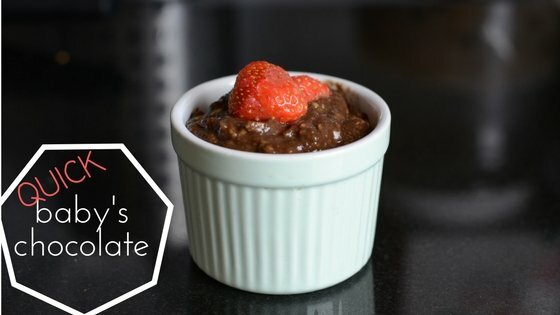 What contains banana and avocado, can be done in less than 5 minutes and looks like chocolate? It is called that way because it looks a bit like melted chocolate when done, even though the taste is not quite the same as real chocolate. It is also the quickest and easiest dessert or snack you can make for your little one when you have run out of ideas and you happen to have an avocado in the house (cause we don’t always happen to have one, don’t we?). 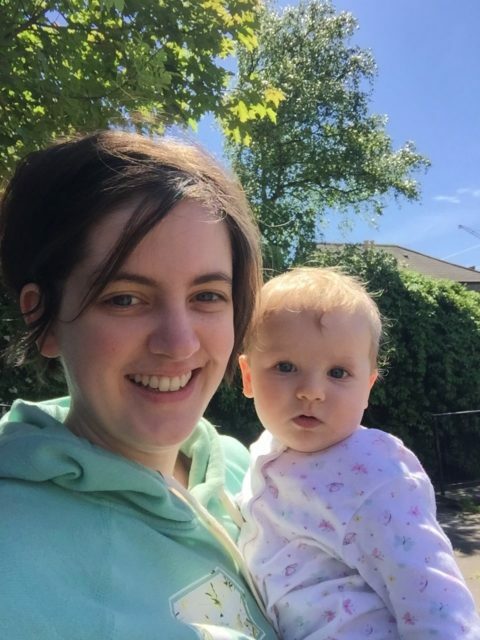 And if you’re doing baby led weaning, don’t worry. You can always pre-load your little one’s spoon and give it to her to feed herself. Or let her have a go if she’s more experienced at handling cutlery. So what’s in it that gives it that chocolate-y colour and taste? It’s not cocoa powder that’s for sure. I am going to write a post about why it is not okay to give babies cocoa powder. But until that post is written, I can tell you what I am using instead. It is called carob (or sometimes spelled as karob) powder, and it’s a healthier substitute for cocoa (there is always a healthier option for everything nowadays, don’t you think?). Carob powder is obtained from the pod of a tree which grows in the Mediterranean region, by drying, roasting and grinding that pulp into a flour like consistency. Why do I like it? It’s naturally sweet, caffeine-free, low in fat, high in fiber, has calcium, iron and… looks like cocoa, which is the most important aspect (besides the no caffeine one) when baking or adding it to baby’s food. There is no need for weird weight conversions: just add the powder as you would cocoa and you should be fine. Try it in muffins, scones, pancakes, porridge, cookies, basically anything you can think of. 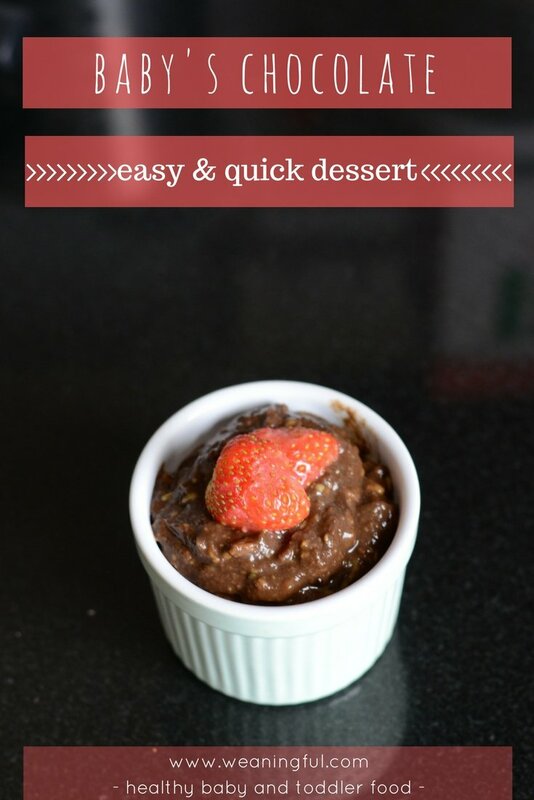 Or try this quick baby’s chocolate dessert and you’ll be convinced. 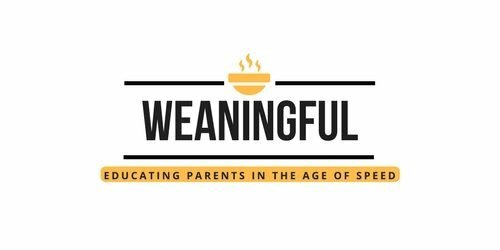 If you’re struggling on the weaning journey and with introducing first foods to your little one, then my FREE mini-course might help with that. 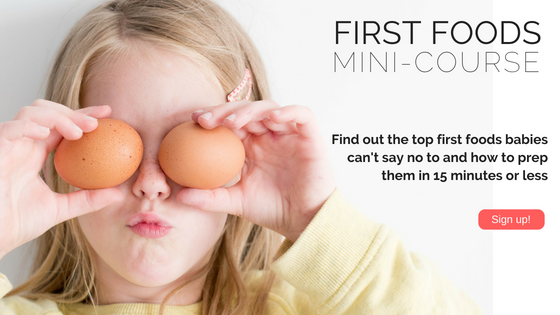 You will find out which are the top foods babies can’t say no to and how to vary them quickly and easily, using accessible ingredients, in 15 minutes or less. Join by clicking the image below! Remember: sharing is caring, especially for us busy moms, so please spread the word on social media if you liked this recipe. Or pin it for later! An easy to make dessert, ready in less than 5 minutes! Mash the banana and avocado well and mix together. Add the tablespoon of carob powder and mix again. Done! Happy 2018… blog spring cleaning!